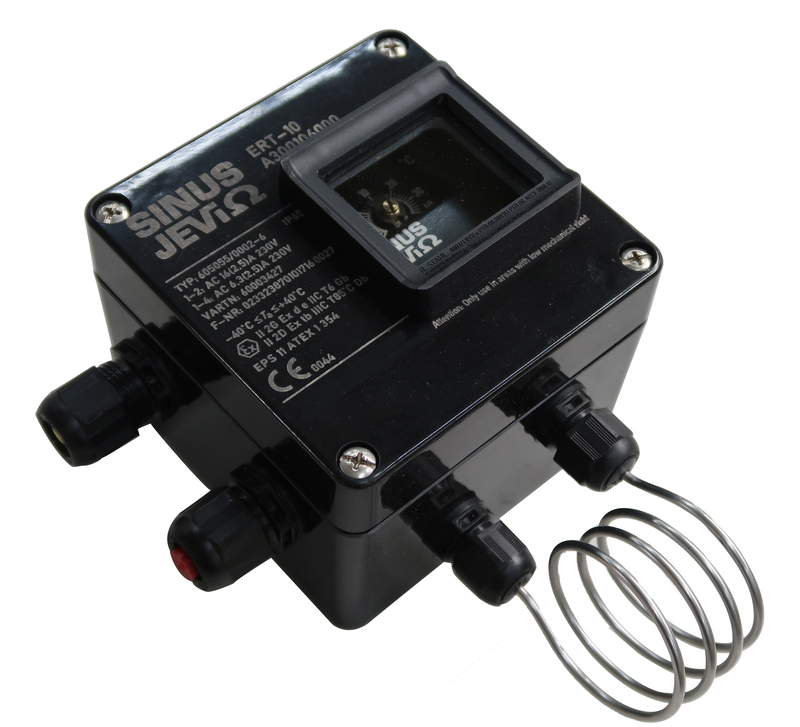 Hazardous area thermostat type ERT-10 replaces former type EJB D8525 and is suitable for direct control of Sinus Jevi explosion proof space heaters, e.g. 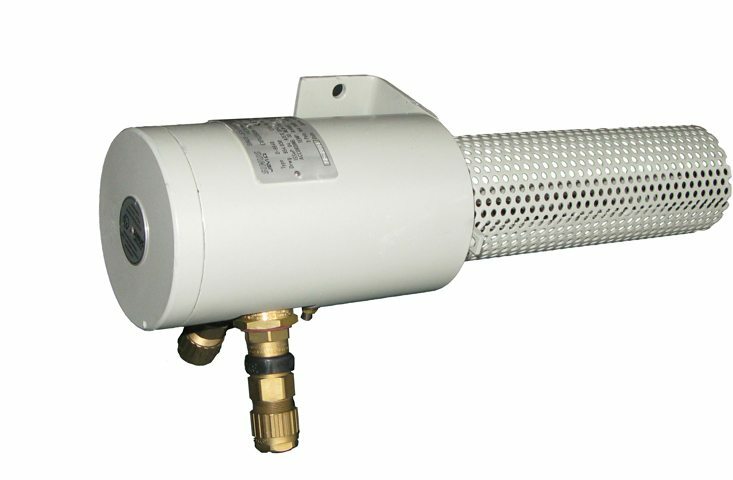 finned tube heater type ERB. The ERT-10 surface mounted thermostat stands for reliable temperature control, even under extreme conditions. A convenient view window enables you to see the adjustable set point of the thermostat without removing the lid. The (outside) construction and enclosure of the thermostat comply with increased safety (Ex ‘e’) requirements and enable usage of ‘simple’ (Ex ‘e’) cable glands. Two cable glands are available for both incoming and outgoing cable. Maximum 16A / 230 VAC load can be switched by the single pole (double throw) potential free thermostat contact. The adjustable temperature range is -20°C up to +40°C and the admissible ambient temperature is -40°C up to +40°C. The (outside) IP65 enclosure is made of reinforced Polyester, making it suitable for placement in harsh environments. Its Ex approvals apply to explosive gas atmospheres (zone 1 and 2) or dust atmospheres (zone 21 and 22). The explosion-proof room thermostat is suitable for gas group IIC with EN/IEC test certificate. This explosion-proof room thermostat consists of a flame proof steel or stainless steel casing. Cable gland M20x1.5 HAWKE type 501/453/O. The sensor is located in the basket, in which a cappillary thermostat is built, adjustable between 0 – 40°C.